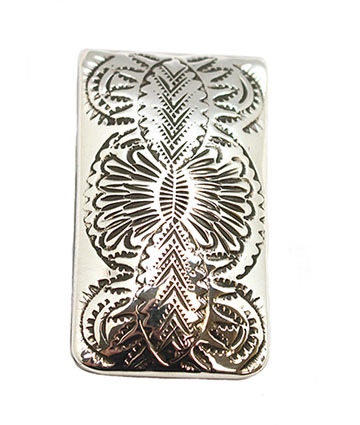 A base metal money clip with a stamped, domed silver sheet on top. It measures 1" wide by 1 3/4" long. It is Navajo hand crafted by Shirley Skeets. Stamping will vary. You may not get stamping design as pictured.